I’ve been so busy I haven’t blogged about lots o’ stuff! My grandma’s 80th birthday celebration was a blast! I got to see all the Aunts and Uncles on my mama’s side, Grandma and Grandpa, and some cousins that I rarely get to see – along with their adorable kids, which is special, since mine are about grown! My daughter got to travel to the party with me, but hubby and son both had to work, so it was a girls’ trip with my Aunt. 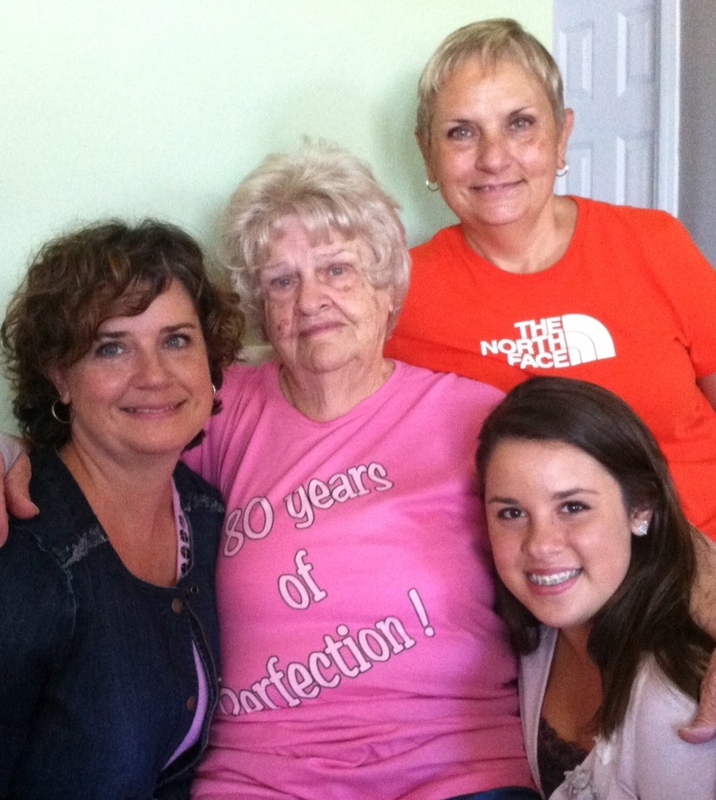 We snapped this photo of four generations: my daughter, myself, mom, and grandma. Absolutely priceless. I managed to finish two charity quilts in my mess of a studio by clearing a path to the machine and putting blinders on so I could enjoy a bit of quilting! 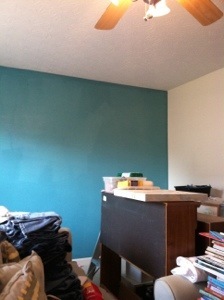 And my quilt studio almost has a cleared floor now, as all but a few things have yet to find a place. I don’t have near enough storage, so until I can get some more furniture or plastic organizers, a bit of stack and pile will have to do. I’ve had such a response to my EPP bag, that I’m working on a pattern to sell, and of course, that means I am making another, so that I can put lots of pics in the pattern. I’ll sell the bag, too, I hope! That possibility is exciting! And it’s time to start on two t-shirt quilts, which will provide one for my daughter, one to raise money for my niece’s senior trip, as it will be raffled off, and the pics of these quilts will allow me to get my website for t-shirt quilts published – finally! Lots in the works! Busy, busy…and loving it! 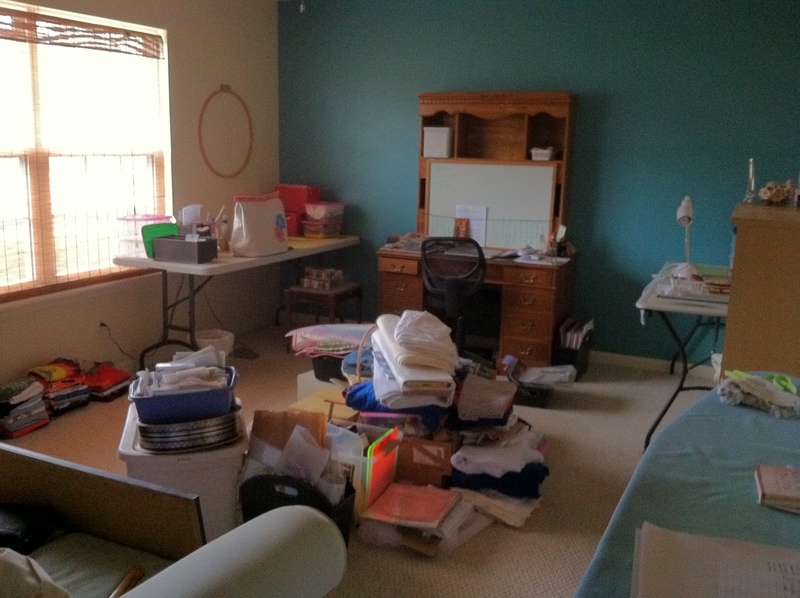 When I reached the end of my homeschool days, the room was still a quiet place to read, a guest room ( the comfy couch and/or an air mattress), and a sewing space, since I moved in a folding table for my sewing machine to live on. 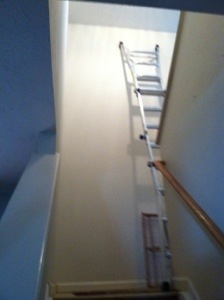 And then it occurred to me that I could turn this room into a quilt studio! So I’ve moved the wall of bookshelves downstairs, packed away the books for young children, gave away a ton of stuff, and painted. I am overwhelmed. And it’s my own darn fault! Why do I start a thousand things at once? Because I come to a temporary impasse with one thing, and in my desire to stay productive, I go ahead and start something else in the meantime. So now I have several quilts for charity and fundraising whispering in my ear to be done, a quilt top almost finished, a BOM quilt waiting for August and September blocks to be made, a table runner top half finished, several gallons of paint waiting for my quilt studio and half bath, furniture moving/rearranging involving three rooms that is half done, and boxes of stuff waiting to be transported for donation. After doing a ton of cleaning, moving furniture, sorting through closets and other spaces, making paint color decisions and all the regular mom/wife stuff this past week, I am absolutely pooped and had a much less productive Saturday than I’d hoped! I wish myself good sleep this weekend, because I am really going to need it this week! 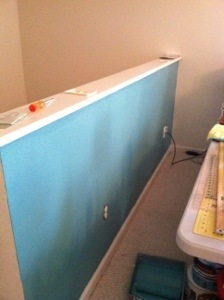 But I can’t wait to get the work parts behind me so I can enjoy a dedicated quilting space and get back to quilting! 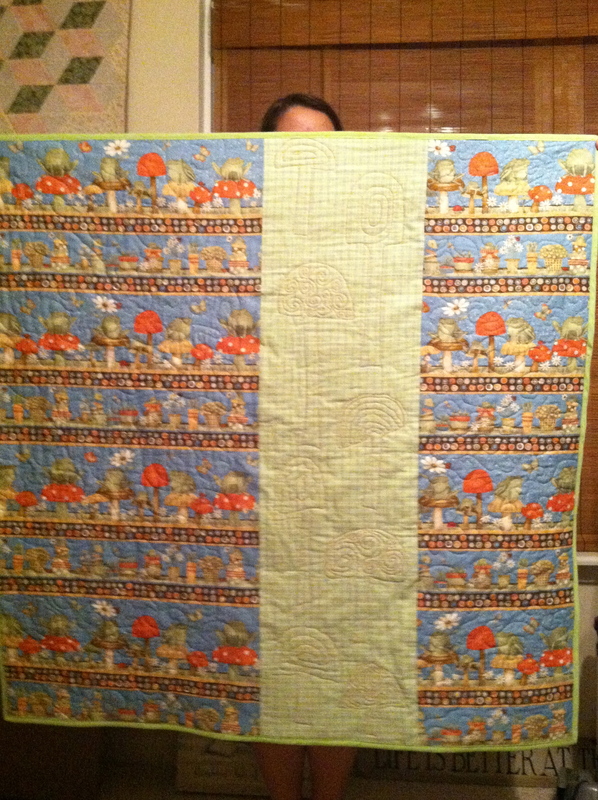 I haven’t quilted in a week! 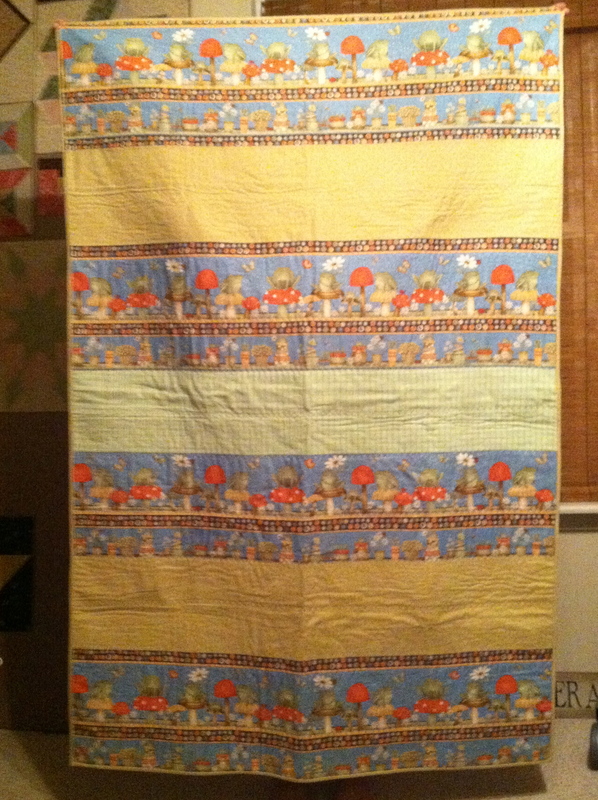 So….look for some pics soon as the loft room that once served as a homeschool becomes a quilt studio!